ABOUT THE E-BOOK YOU HAVE PURCHASED: Your non-refundable purchase of this e-book allows you to only ONE LEGAL copy for your own personal reading on your own personal computer or device. Club, and we invite you to become a member. they are uploaded to the popular sales sites. One of several privileges of club membership.
' up her heels and propositions her to take his bull to Vegas. '. Something not a lot of women do. Littleton Oklahoma is just a dry stopover for a few hours of rest and relaxation at the nearest bar. needs to find a hot cowboy to release some of her pent up frustrations on for the night, but wannabe's aren't her style.
' pool at the local bar dressed to kill and takin' numbers? Can some slashed tires and an ornery bull bring two hard-headed people together for some fun in the sun and a little more? Ashleigh Brown, the author of the popular Nightwalkers series, lives a quiet life free of the limelight. She keeps her real identity secret by writing under the pen name, Victoria Allure. She soon finds herself in a bind when she's kidnapped by a group of handsome vampires seeking Victoria. She then agrees to meet their Master, who's a huge fan of her books. But instead of meeting him, she accidentally crosses paths with her rock star crush. however, if you’re a major paranormal fan, we suggest you join the Cravings Paranormal Club. Everything is the same except that three of your four books will be paranormal. The remaining book will be of a different genre. To join, visit the Secret Cravings Publishing website. At the bottom of the page you’ll see a button for the club. You can sign up there and share your preferences for genre, format and heat level with us. You will be charged, automatically, through PayPal, only $9.99 every month. ooks will be shipped within 1 day after PayPal payment has cleared. You may cancel at any time by clicking on the “unsubscribe” button located on the Cravings Club tab at the bottom of our website and keep the FREE BOOKS as our gift. We hope our Secret Cravings books will delight you each and every month. A trail of blood ran down her forearm as the tribesman removed the tip of his long knife and sneered at her. Breath coming in short rasps from the pain in her left arm, she nevertheless strained against the iron bands around her wrists. The chains rattled, but didn’t budge. Fastened to the cave wall, they looked like they’d resist the test of time much better than she would. Her captor seemed to hesitate for a fleeting instant, but just as quickly, he narrowed his eyes and moved the knife toward her face. Although she could use the wall behind her for support, her arms hurt from hanging, and the metal rings bit her wrists. She tensed when he pressed the knife inches below her right eye. The sneer came back as if she had insulted his intelligence, or attempted to sway him from his interrogation technique. She flinched from the stench of the man. Did he happen to have a good scrub since his childhood? She couldn’t bite the words back, even threatened by the blade against her cheekbone. She realized her tone might anger him, and she’d better put things right before panic clouded her judgement. Summoning her sincerest expression, she spoke in a low but firm voice. His scoffing tone contradicted the danger she read in his gaze. How come she had ended up here, chained to a wall, tortured by a scum whose stench and filth repulsed her? She shouldn’t have listened to her shaman. After all, he was the one eager to see her embark on this perilous journey. “Look, if I had come here to snoop around, I’d have devised a much more believable excuse. He took a step back, and his brow furrowed. Hazardous as her situation was, she pressed her lips together at the sight of his sudden confusion. She blinked when he scratched the side of his head. His men had captured her as she had been entering a cave she thought deserted. 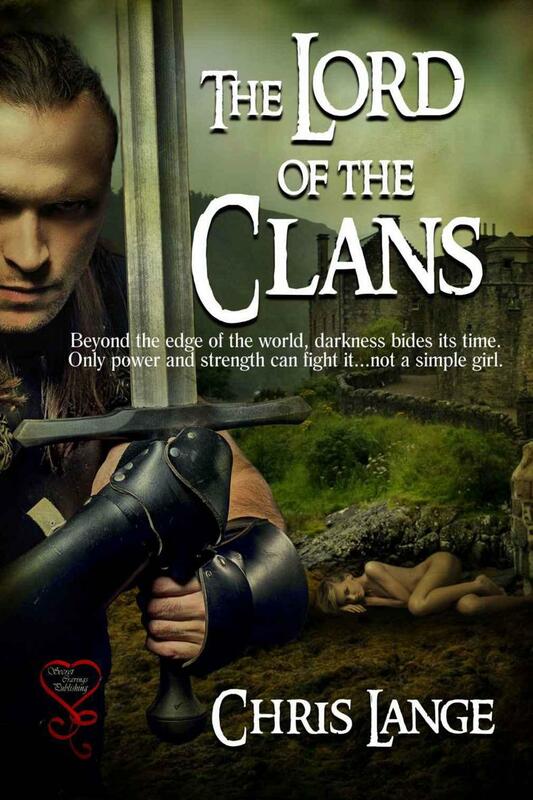 Fighting hadn’t crossed her mind because, like her, they belonged to a clan. The four of them would have subdued her anyway, and she wished for the thousandth time that she was stronger. Figuring they’d at least treat her with politeness, she’d been surprised when they’d handed her over to the tribesman currently torturing her. He’d stripped her of her weapons without a word and tied her to the wall. The key to her chains lay out of reach on a table. This one wasn’t a great thinker, although he appeared to command one of several units. When she didn’t add a new comment, he scratched his head some more, dirty fingernails rubbing on his short hair. Was he finally starting to believe her? To her dismay, he brought the knife back against her face. She whimpered, yet managed to keep her fear in check. The cold wall behind her prevented any movement. The iron bands around her wrists struck it as he threatened her with his blade, and the short chains rattled. He snorted at her alarm. Beads of perspiration dampened the hooked bridge of his nose when he applied pressure on the corner of her eye. Not a chance, given that she’d definitely be half-blind and screaming her lungs out. A shiver coursed through her when the long blade touched the inside of her eye. Who was he talking about? Why did the mention of this mysterious person make her stomach churn? Too terrified to blink or swallow, she held her breath while the wild thumping of her heart tolled against her ears. The scumbag grinning in her face was going to cut her up, and the idea of such raking pain dried her mouth. Heedless of heroism, she uttered a small, pitiful sound. The question shattered the moment of torture, and the tribesman wheeled round at the sound of the chilly, commanding voice. She breathed a sigh of relief as the knife left her face. Before her eyes, her tormentor dropped down on one knee. Try as she might, she couldn’t make out the source of the authoritative voice. Because the candles didn’t light the entrance of the cave, she only saw a dark shape. Tears blurred her vision, and she wondered if the tribesman might have scratched or damaged her eye with his knife. Her tormentor scrambled up to his feet and took hesitant steps toward the silhouette. As he went past the man in the shadows, his name clacked throughout the cavern like the strike of a whip. Blinking to expel moisture from her eyes and get a better look, she watched his slumped shoulders. With a vigorous nod, the tribesman scampered away. The big, dark shape moved forward. Breath caught in her throat, she tensed as the mysterious man finally appeared in her range of vision. He wore the usual sheepskin coat clansmen favoured but his size made her pulse race. She was very tall for a woman, yet she wagered the top of her head wouldn’t rise above his neck. Shoulder-length, straight fair hair framed a face chiselled in ice. A long scar ran from his temple down to the side of his mouth. With eyes the colour of a still lake on a cloudy winter morning, his gaze blew away her ability to think. She prayed he wouldn’t take another step because the gray eyes seemed to see right through her while an aching pulse took complete possession of her body. She flinched, unable to meet his icy stare. So this was the man her former tormentor had warned her about. The man who would now torture her to no end to get what he wanted. Teeth clenched, she strained against the metal rings. As if to confirm her worst fears, he seized the key to the chains, looked at it for a second, and put it back on the table. Then he moved toward her. Even if she’d been free, her feet would have refused to shift. His sheer size made her think of a mountain giant, and his steel gaze pinned her to the wall. She swallowed, but her throat still felt like a patch of dry ground. Her blood raced for no logical reason. Her insides burned with something she couldn’t define. Although he addressed her with politeness and respect, he didn’t make a move to untie her. By the Mighty Gods, she should have known. He was the Lord of the Clans. The legendary leader of all tribes—feared, hated, and revered throughout the Four Kingdoms. Which meant she also owed him fealty and obedience. As member of the Healers tribe, she was sworn to him. A hundred stories about him rushed to her mind, along with the recollections of long winter evenings spent around the fire while their shaman recounted the Lord of the Clans’ exploits. She had no way of knowing if the heroic tales were true, but seeing him in the flesh, she thought so. She should probably bow now that he had introduced himself, but her suspended arms hurt too much. Awed, yet still fearful of his next move, she managed to keep a composed tone. She shivered when he eyed her slowly from head to toe, his penetrating gaze making her feel completely naked. He nodded, face expressionless, and closed the short distance between them. Her pulse jumped and a trickle of sweat slowly slid down her side. What was he going to do now? Did he really believe her? Although he didn’t carry a knife, there were still a thousand ways he might hurt her. She waited while he focused on her neck. Did he have a mind to strangle her? She tried to remain motionless and appear brave, but couldn’t suppress a shudder when he raised his hands toward her cleavage. Heart banging hard, she watched him grab the open collar of her outfit. Before she could add more, he ripped her shirt apart. Song of Blood & Stone (Earthsinger Chronicles Book 1) by Penelope, L.